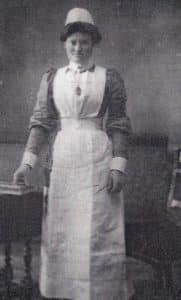 Quality and discipline were the distinctive hallmarks of Queen’s Nurses. From the outset, the Scottish council committed itself to a higher standard. Nurses had to complete hospital training (three years as it became) before embarking on the specialist training required for district work. As well as Queen’s Nurses, England also had much larger numbers of ‘village nurses’ with little or no prior hospital experience. They were trained by the Institute in district work but were not classified as Queen’s Nurses. In other areas Scotland lagged behind, such as the state registration of midwives which was only achieved in 1915, 13 years after England and Wales. Queen’s Nurses became known as the ‘bee’s knees’– the best trained nurses in the country. A superintendent from the Institute came to inspect their work at least once a year to ensure standards were up to scratch and to take up any issues the nurse might have with her employer. Although the overarching mission was clear – free care for the poorest – its implementation in practice was less explicit. Contributions from patients who could pay were welcomed. In 1903 this income amounted to £108 – around the annual cost of employing one Queen’s Nurse. In that year there were 238 of them across Scotland. By 1918 there were 400. The original constitution made it clear that Institute funds were solely for nursing, and not for charity to the ‘necessitous poor’. Therefore, nurses did not take essentials like beef, tea, eggs or clothing to families. Instead, these were provided by the Scottish Needlework Guild, which was also set up by the Countess of Rosebery, and administered by Trustees of the Queen’s Nurses, having acknowledged there was an additional requirement. In 1931, a new source of income was established. 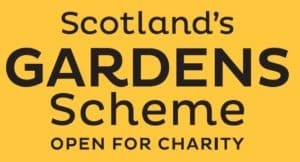 Scotland’s Gardens Scheme allowed access to some of the countries most beautiful gardens, in exchange for a small fee, which supported the work of the Institute. Their support continues to this day. 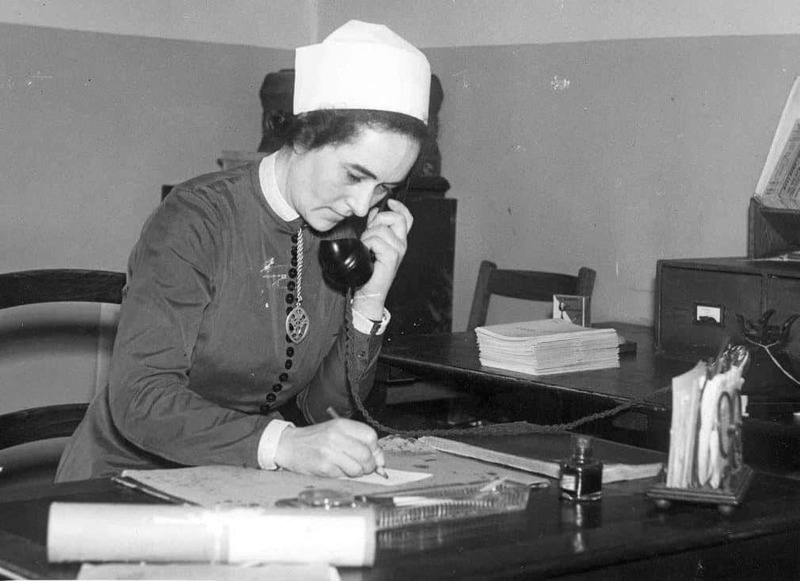 Nurses were also required to work under the direction of a doctor, unless in emergency cases. In some areas this was impractical, particularly in the Highlands and Islands. 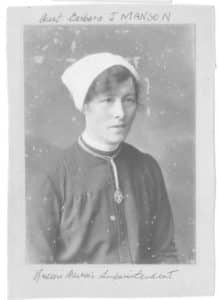 English-born Helen Nobel was the first Queen’s Nurse on North Ronaldsay, the most northern of the Orkney Islands. She lodged at the Tulloch family croft on the island. 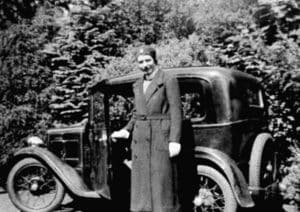 She evidently impressed one of the daughters, Janet Tulloch, who later trained as a Queen’s nurse, moving to Orphir on the Orkney mainland in 1915. Grateful patients presented her with a silver tea service and silver mounted oak tray when she left to get married.